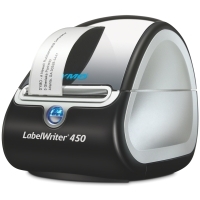 Great prices on Dymo labels and label makers from the labelling experts - At Dymo Express we believe we have the UK's best pricing on machines and labels, with the best deals and all of the current Dymo promotions. Rather than offer tiered pricing based on quantities, we offer the lowest prices regardless of quantity, meaning you get the best price even if ordering only a few labels. If you find a specific product cheaper elsewhere please let us know! Unlike many stationers and other suppliers we are not drop-shippers (companies that hold no stock, and simply forward your order on to a 3rd party distributor to fulfill the order for them) - we have our own stocks, and lots of them. This means we can ship the goods to you ourselves quickly, reliably and with full control over the delivery process. 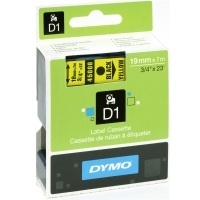 We also stock the entire Dymo range, not just the popular items. 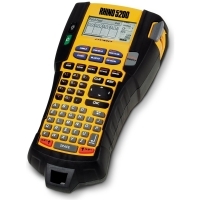 The large distributors that drop-shippers use sell 10's of thousands of different stationery products, of which Dymo only represents a small percentage. Because of this, they may only offer a fraction of the available range, or the whole range but with minimal or no stocks on 'non-core' items, leading to more backorders and delays. Our couriers offer a range of Pre-10:30, Pre-12:00, Next Working Day and weekend delivery options all of which are fully trackable and have a 1 hour predicted delivery window to let you know when your products will be arriving. We also offer delivery to some EU locations. For consumers we allow delivery to your work address if that is more convenient, or the courier also allows delivery to local collection points allowing you to choose to collect from a nearby shop for example if you will be out. We charge delivery at cost. While some customers may think that our standard next day charge of £4.89 is expensive, when you actually think about it that is pretty cheap for a service that will deliver to your door 1 working day after you order it. Other companies may offer cheaper deliveries or even free delivery - but obviously, they still have to pay for the shipping cost (we've yet to find a courier that will deliver our parcels for free! ), and they do this by padding the cost of the products to subsidise the free / low shipping cost. Our prices are so low we simply can't do this, so our philosophy is to charge the delivery at cost, and price the products as cheaply as we can. Dymo Express has well over 4000 customer reviews, which are collected and monitored by ShopperApproved, a leading independent feedback company. You can click on the ShopperApproved badge in the left menu bar under 'customer feedback' to see these reviews, for which we have an overall 5 Star rating. You will also see some of these random reviews showing across our website. 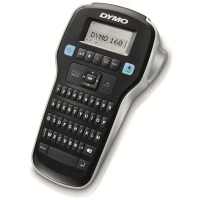 Dymo are the market leader in handheld labelmakers and in desktop address label type machines. The LetraTAG range is aimed at home users, while the LabelManager (previously LabelPoint) is aimed more at the professional and office environment. There is also the "Rhino" industrial range which are typically used for labelling warehousing, electrical outlets / consumer units, patch panels and more extreme environments. They are also very popular for cable marking. The new XTL industrial range is the next step up from the entry level Rhino range, and is aimed as higher volume labellers in areas such as Facilities Management, Data Centre Operations, Data Communications Identification, Asset Tracking and Cable/Wiring Identification. 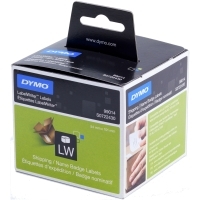 All of our labels are genuine Dymo labels for maximum reliability, quality and compliance with Dymo's warranty requirements. 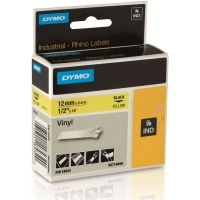 Both our labels and printers are all sourced from the official UK distribution channel, not the grey market, so are fully covered by Dymo's warranty and support. We are also an authorised dealer, so qualifying products purchased from our website will be eligible for any UK Dymo promotion that states "must be purchased from an authorised dealer". Dymo Express are part of the TaoTech Group, which is the biggest independent Dymo reseller in the UK. Please email us if you need help choosing a machine or consumables.